Solid Wheel for maximum strength. Yellow Enamelled finish for safety. Measures to 9999.99m reading to 1cm. Optional rail track adaptor which clamps the wheel securely to rails. Reset lever for quick resetting. Robust - all metal construction. 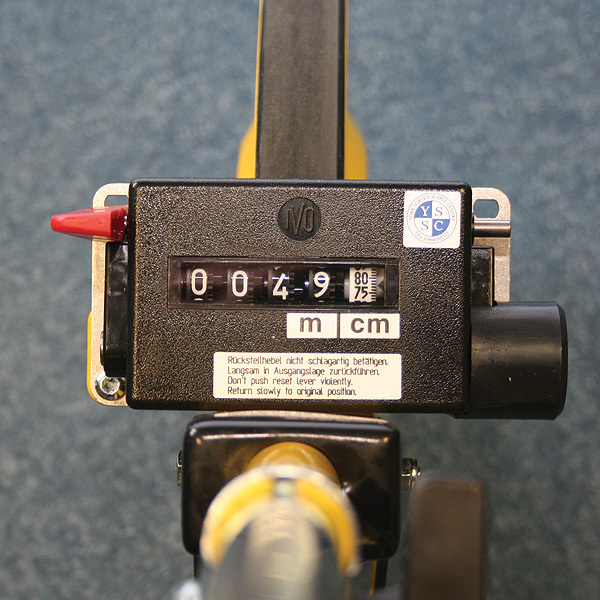 The wheel diameter of 318.5 mm gives a precise circumference of 1 metre. Has a folding handle for easy transport and storage. Open stand can be used to steady the wheel when note-taking at the road side.